The lineup of ASM 2018 keynote speakers and panelists featured six outstanding synthesis science leaders representing institutions and collaborations at the forefront of innovative ecological data synthesis and modeling. Sharon Collinge was named Director and Chief Scientist at NEON in early 2018. She is a professor and former director of the Environmental Studies Program at the University of Colorado Boulder. Sharon’s professional expertise centers on how landscape change affects the survival and persistence of native plants and animals. Her current research focuses on the use of ecological theory to guide efforts to conserve and restore vernal pool ecosystems in California. At CU-Boulder, Sharon has taught courses in Conservation Biology, Food and the Environment, Disease Ecology, and Restoration Ecology. 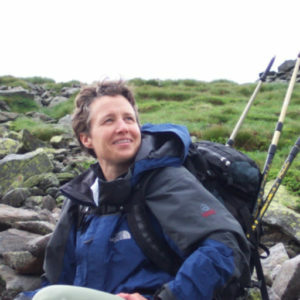 Sharon earned a doctorate in landscape ecology from Harvard University in 1995, and in 1998 she became an assistant professor of biology and environmental studies at the University of Colorado-Boulder. Sharon was named a 2004 Aldo Leopold Leadership Fellow in recognition of her outstanding leadership ability and desire to communicate scientific issues beyond academic audiences, and was elected as the Ecological Society of America’s Vice President for Public Affairs in 2011. Michael Dietze leads the Ecological Forecasting Laboratory at Boston University, whose mission is to better understand and predict ecological systems, and is author of the book “Ecological Forecasting”. He is interested in the ways that iterative forecasts, which are continually confronted with new data, can improve and accelerate basic science in ecology, while at the same time making that science more directly relevant to society. Much of the current work in the lab is organized within the Near-term Ecological Forecasting Initiative (NEFI) and the PEcAn project. NEFI is focused on addressing overarching questions about ecological predictability, while developing forecasts for a wide range of ecological processes (vegetation phenology and land-surface fluxes; ticks, tick-borne disease and small mammal hosts; soil microbiome; aquatic productivity and algal blooms) and advancing statistical and informatic tools for ecological forecasting. PEcAn is focused on the terrestrial carbon cycle, improving our capacity for carbon MRV (monitoring, reporting, verification), forecasting, data assimilation, and multi-model benchmarking and calibration within the land component of Earth System models. Dr. Hampton joined the National Science Foundation in May 2018 after serving as the Director of the Center for Environmental Research, Education and Outreach (CEREO) at Washington State University where she is a Professor in the School of the Environment. Previously she was Deputy Director of the National Center for Ecological Analysis and Synthesis (NCEAS) for 8 years. Throughout her career, she has built connections –between disparate fields, between producers and consumers of data, between basic ecological research and its many applications. She strives to promote data sharing, open science, and wider adoption of cutting-edge informatics for more effective and transparent environmental research.Hampton’s background is in aquatic science, statistical analysis, and environmental informatics. Her research includes analyzing long-term ecological data collected from lakes as globally diverse as Lake Baikal in Siberia and Lake Washington in Seattle. Together with collaborators, she has shown how lakes respond to municipal management practices such as sewage diversion. 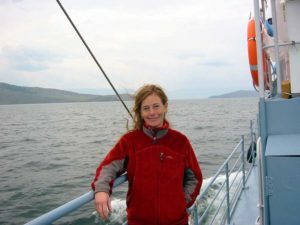 She has also helped demonstrate the effects of climate change on plankton—the basic building blocks of aquatic food webs – with a recent emphasis on the implications of winter ice loss across the globe. As an Assistant Professor in the Department of Physical Sciences at VIMS, Dr. Kirwan integrates studies on how coupled physical, biological, and anthropogenic processes influence the formation and survival of large scale landscapes, and patterns of response to climate change. 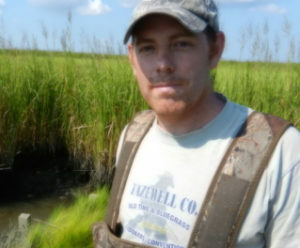 He works mainly in salt marshes and other coastal environments, where knowledge of these ecogeomorphic feedbacks is often important for human welfare and ecosystem management. Kirwan’s work currently focuses on applying concepts of ecogeomorphology to better understand: 1) carbon-climate feedbacks in the coastal zone, 2) the response of wetlands to sea level rise, enhanced CO2, and elevated temperatures, and 3) how humans influence wetlands through upland land use change and its effect on wetland migration and sediment delivery to the coast. Dr. Weathers has served as the Global Lake Ecological Observatory Network (GLEON) Steering Committee Co-Chair for the past decade. She is Principal Investigator for the GLEON Fellowship Program’s training of next-generation network scientists. She also leads GLEON’s commitment to the U.S. government-led Climate Data Initiative, its Water Theme, and the GLEON Lake Observer App development. 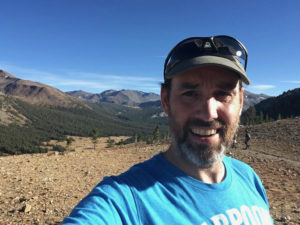 Weathers’ research focuses on quantifying how biology affects geochemistry and biogeochemical cycling across heterogeneous landscapes, and within and among multiple systems (air-land-water). Whether studying how cyanobacteria alter lake resilience or how fog changes the structure and function of forest ecosystems, she has pursued scientific questions that are critical to landscape-level integration and ”big” data-inspired research. Weathers is an elected fellow to the Ecological Society of America and the American Association for the Advancement of Science. She is the recipient of the Ecological Society of America’s Eugene P. Odum Award. 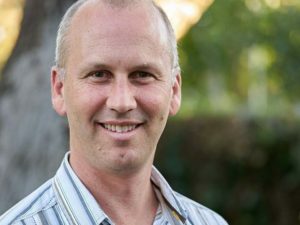 As Director of NCEAS, Dr. Halpern oversees a number of solutions-oriented projects based on synthesis science that integrate multiple datasets to answer big-picture ecological questions. He is a professor at the Bren School of Environmental Science & Management and Director of the Center for Marine Assessment and Planning (CMAP) at the University of California, Santa Barbara. Halpern has led several broad research programs including a global synthesis of where marine protected areas (MPAs) meet conservation and fisheries objectives, a range of reproducible science initiatives, and and development and global application of the Ocean Health Index.